An odor control substrate that is applied with an activated carbon ink is provided. The activated carbon ink is applied in a pattern that covers from about 25% to about 95% of the surface area of the substrate. Although not covering the entire surface, the present inventors have discovered that the activated carbon ink is still capable of providing good odor reduction qualities to the substrate. To further enhance the aesthetic appeal of the odor control substrate to a consumer, one or more colored inks may also be applied the substrate in a pattern that may or may not overlap with the activated carbon ink pattern. The colored ink(s) may contrast well with the activated carbon ink to provide an overall design that is more aesthetically than otherwise would be provided by a uniform coatingof activated carbon ink. 尽管已经就其具体实施方式对本发明进行详细说明，本领域技术人员在得到对上文的理解时将会认识到，很容易想到浙西实施方式的变体、变化方式和等效物。   Although the present invention will be explained in detail specific embodiments thereof, those skilled in the art in obtaining an understanding of the foregoing will be appreciated, it is easy to think of variant embodiments western Zhejiang, and changes in the way equivalents. 因此，本发明的范围应当由所附权利要求及其任意等效物评价。 Accordingly, the scope of the invention should be evaluated by the equivalents of the appended claims and any. 1. 一种形成气味控制基质的方法，其特征在于该方法包括：将第一种墨水以图案印刷在所述基质的表面上，所述基质包含非织造网、薄膜、或其组合，所述墨水含有活性炭颗粒、溶剂和玻璃化转变温度为30°C或更低的聚合物胶乳，其中所述第一种墨水的图案覆盖所述表面面积的25%至95%，其中所述第一种墨水呈现出在视觉上可将其与所述基质所呈现的另一种颜色区分的颜色；对所述第一种墨水进行干燥，形成固体添加水平为至少2%的涂层，其中所述活性炭占涂层的20wt. %至70wt. %，所述聚合物胶乳占涂层的IOwt. %至60wt. %,其中，所述聚合物胶乳选自苯乙烯-丙烯酸共聚物、苯乙烯-丁二烯共聚物、聚乙酸乙烯酯均聚物、乙酸乙烯酯乙烯共聚物、乙酸乙烯酯丙烯酸共聚物、乙烯-氯乙烯共聚物、乙烯-氯乙烯-乙酸乙烯酯三元共聚物、丙烯酸聚氯乙烯聚合物、丙烯 1. A method for odor control substrate is formed, characterized in that the method comprises: a first ink printed in a pattern on a surface of the substrate, the substrate comprises a nonwoven web, film, or combinations thereof, ink containing activated carbon particles, a solvent, and a glass transition temperature of 30 ° C or lower polymer latex, wherein said first ink pattern covering 25-95% of the surface area, wherein said first color ink showing another visually distinguishable color can be presented with the substrate; the first ink is dried to form a solid add-on level is at least 2% of the coating, wherein the activated carbon accounting for 20wt% to 70wt% of the coating, the polymer latex accounts IOwt% to 60 wt% of the coating, wherein the polymer latex is selected from styrene -.... acrylic acid copolymer, styrene - butadiene copolymers, polyvinyl acetate homopolymers, vinyl acetate copolymer, vinyl acetate acrylic acid copolymer, ethylene - vinyl chloride copolymers, ethylene - vinyl chloride - vinyl acetate terpolymers, acrylic polyvinyl chloride polymers, propylene 聚合物和腈聚合物。 Polymer and a nitrile polymer. 2.根据权利要求1所述的方法，其中所述活性炭占所述第一种墨水的Iwt. %至50wt. %。 2. 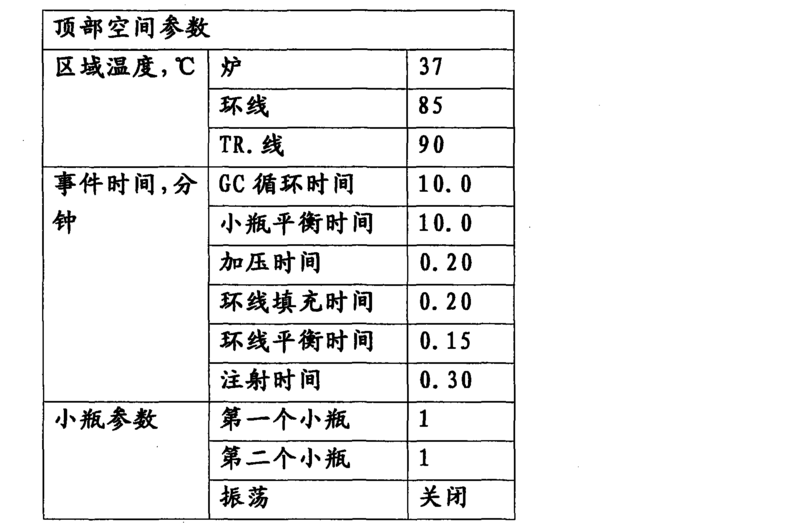 The method according to claim 1, wherein the activated carbon accounted% to 50wt.% Of said first ink Iwt..
3.根据权利要求1所述的方法，其中所述聚合物胶乳占所述第一种墨水的0. Olwt. % 至30wt. %。 3. The method according to claim 1, wherein said polymer latex accounts for 0. Olwt.% To 30wt.% Of said first ink. 4.根据权利要求1所述的方法，其中所述溶剂占所述第一种墨水的40wt. %至99wt. %。 4. The method according to claim 1, wherein the solvent comprises from 40wt.% To 99wt.% Of said first ink. 5.根据权利要求1所述的方法，其中所述第一种墨水覆盖所述表面面积的30%至90%。 5. The method according to claim 1, wherein said first ink covering from 30 to 90% of the surface area. 6.根据权利要求1所述的方法，其中所述第一种墨水的颜色和基质所呈现的其它颜色之间的对比具有0-255范围的至少45的最小灰度值。 6. The method according to claim 1, wherein the contrast between the color of the other of said first color ink and a matrix having a minimum gradation of the presented value range of at least 45 0-255. 7.根据权利要求1所述的方法，其进一步包括将第二种墨水印刷到所述基质上，所述第二种墨水呈现出在视觉上可与所述第一种墨水的颜色区分的颜色。 7. The method according to claim 1, further comprising a second ink is printed onto the substrate, the second color ink exhibits a color distinguishable with the first ink are visually . 8.根据权利要求7所述的方法，其中所述第二种墨水的颜色是白色、黄色、青色、品红色、红色、绿色、蓝色或其组合。 8. The method according to claim 7, wherein said second ink color is white, yellow, cyan, magenta, red, green, blue, or combinations thereof. 9.根据权利要求7所述的方法，其中将所述第一种和第二种墨水以重叠的关系涂敷。 9. The method according to claim 7, wherein said first and second inks are applied in an overlapping relationship. 11.根据权利要求1所述的方法，其中所述第一种墨水的颜色是黑色。 11. The method according to claim 1, wherein said first ink is black in color. 12.根据权利要求1所述的方法，其中所述涂层的固体添加水平为4%至40%。 12. The method according to claim 1, wherein the solids add-on level of the coating is 4-40%. 13.根据权利要求1所述的方法，其中所述活性炭占所述第一种墨水的5wt. %至25wt. %。 13. The method according to claim 1, wherein the activated carbon accounted 5wt.% To 25wt.% Of said first ink. 14.根据权利要求1所述的方法，其中所述聚合物胶乳占所述第一种墨水的0. Iwt. % 至20wt. %。 14. The method according to claim 1, wherein said polymer latex accounts for 0. Iwt.% To 20wt.% Of said first ink. 15.根据权利要求1所述的方法，其中所述溶剂占所述第一种墨水的50wt. %至95wt. 15. The method according to claim 1, wherein said solvent comprises said first ink 50wt.% To 95wt. 16.根据权利要求1所述的方法，其中所述溶剂包括水。 16. The method according to claim 1, wherein the solvent comprises water. 17.根据权利要求1所述的方法，其中所述第一种墨水还包括掩蔽颗粒。 17. The method according to claim 1, wherein said first ink further comprises a masking particles. 18.根据权利要求1所述的方法，其中所述涂层包含40wt. %至60wt. %的所述活性炭。 18. The method according to claim 1, wherein the coating comprises said activated carbon 40wt.% To 60wt.% Of. 19.根据权利要求1所述的方法，其中所述涂层包含30wt. %至50wt. %的所述聚合物胶乳。 19. The method according to claim 1, wherein the coating comprises 30wt.% To 50wt.% Of the polymer latex. 20.根据权利要求1所述的方法，其中所述图案为标记、花式设计、条纹、带状、点状或其组合。 20. The method according to claim 1, wherein the pattern is a marker, fancy design, stripe, strip, dot, or a combination thereof. 21. 一种气味控制基质，其根据前述权利要求中任意一项所述的方法形成。 21. A odor control substrate, which is formed according to the method as claimed in any one of the preceding claim. 22. —种吸收制品，其包含权利要求21的基质。 22. - kind of absorbent article, comprising a matrix as claimed in claim 21. 23. 一种用于单独包装女性护理吸收制品的袋子，该袋子包括含权利要求21的基质的包装材料。 23. A method for individually packaged feminine care absorbent article of the bag, the bag comprising the matrix of claim 21 comprising packaging material. MX2016016185A (en) 2014-06-13 2017-03-08 Sca Hygiene Prod Ab A packaging unit having improved sealing, and a method for forming such a packaging unit. DE3135025A1 (en) * 1981-09-04 1983-03-24 Collo Gmbh A method of producing a sorptive body, especially for odor removal, an air-freshener, etc..